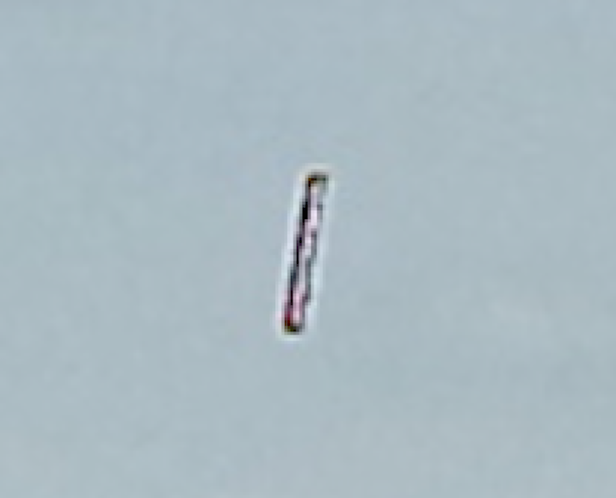 UFO SIGHTINGS DAILY: Cigar UFO Over Lake Tahoe On March 17, 2015, UFO Sighting News. 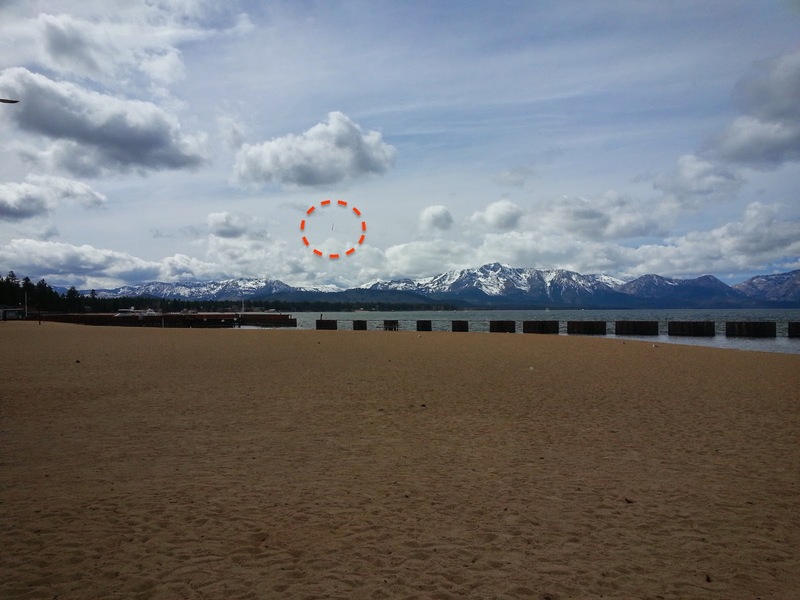 Cigar UFO Over Lake Tahoe On March 17, 2015, UFO Sighting News. Photo taken on 3-17-15 at beach area in South lake Tahoe, during the afternoon. Photo taken on Samsung 3G Phone. Photo was taken of scenery surrounding the lake. Object was only noted later when reviewing photos on the phone. Object looks to be either entering or exiting clouds as cloud cover looks to be just covering the tip. When the photo is enlarged, the object appears to have an aura surrounding it. Object is dark in color. 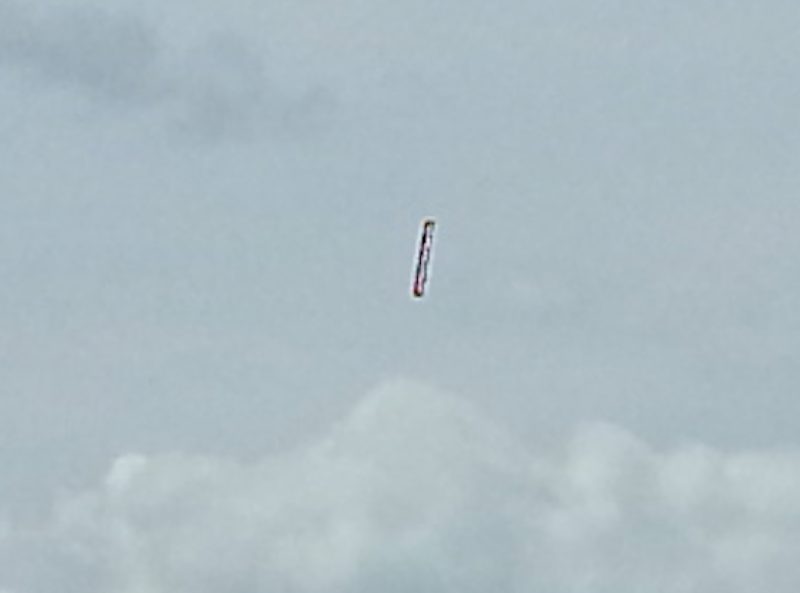 Shape of object seems to be disk shape, but looks somewhat irregular, maybe due to reflection or clouds.